#Gun, on April 1st, His new single "AQUARIUM" image is released. Rapper #Gun will return with a new single about eight months. The agency Starship X posted an image of the #Gun's coming soon image on their official SNS channel on 26 afternoon, announcing the release of the new digital single. 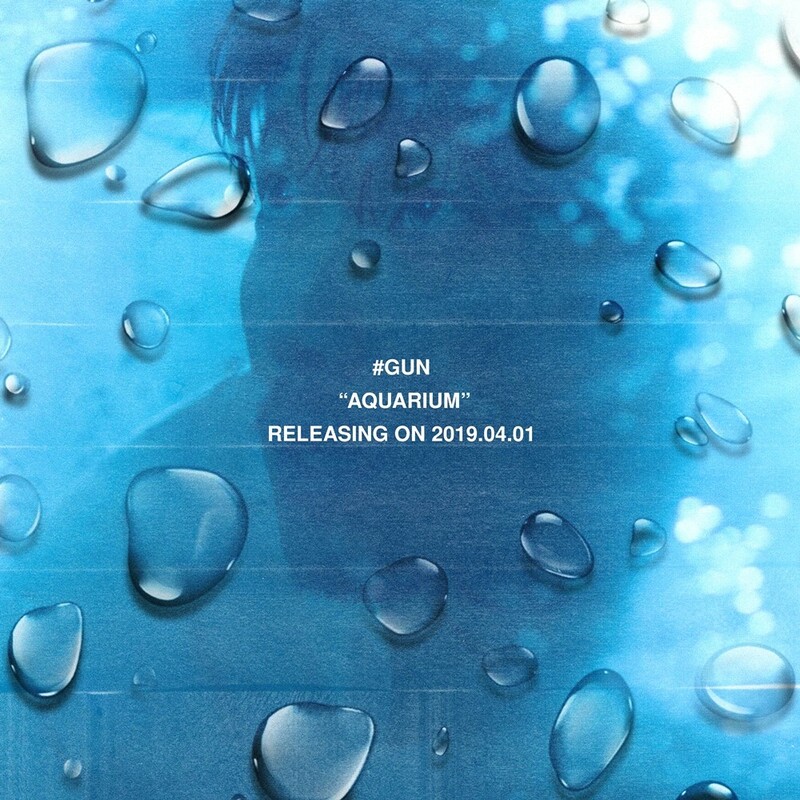 The public coming soon image shows a clean background reminiscent of the blue ocean and a unique water droplet image, Especially in the background, it adds to the curiosity of those who see the show with a glimpse of the #Gun, and the accompanying text "#GUN AQUARIUM RELEASING ON 2019.04.01" amplifies curiosity about the new single. #Gun will make his comeback to the K-pop scene about eight months after the digital single "Red Light" released in August last year. In 2016, he appeared on Mnet's "Show Me the Money 5" and boasted his unique presence as an "Going home" and "crazy guy." Since then, he has shown a strong, colorful rapper through his debut single "BEEP" in 2016 and "Sunflower Dance" in 2017, and produced it directly with "Red Light," which was released in August last year, to further show off his artistic appearance. It further raises fans' expectations that #Gun, who has been loved by music fans with his album of unusual developments every year, will be able to perform music that has grown even more with a new single full of his musical talents. #Gun will release his new digital single "AQUARIUM" on April 1.